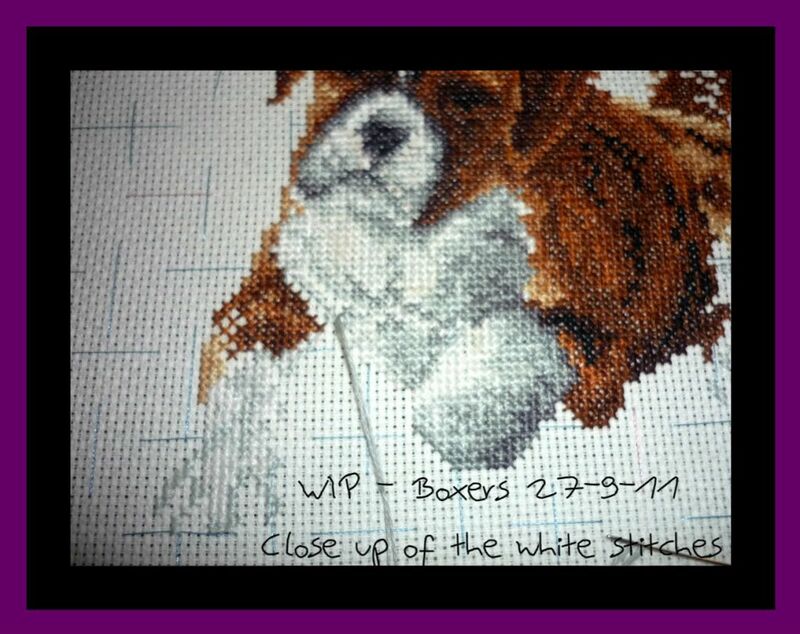 Naughts & Cross stitches: Giveaways and Boxers! To Stitch or Not is having a Halloween giveaway. 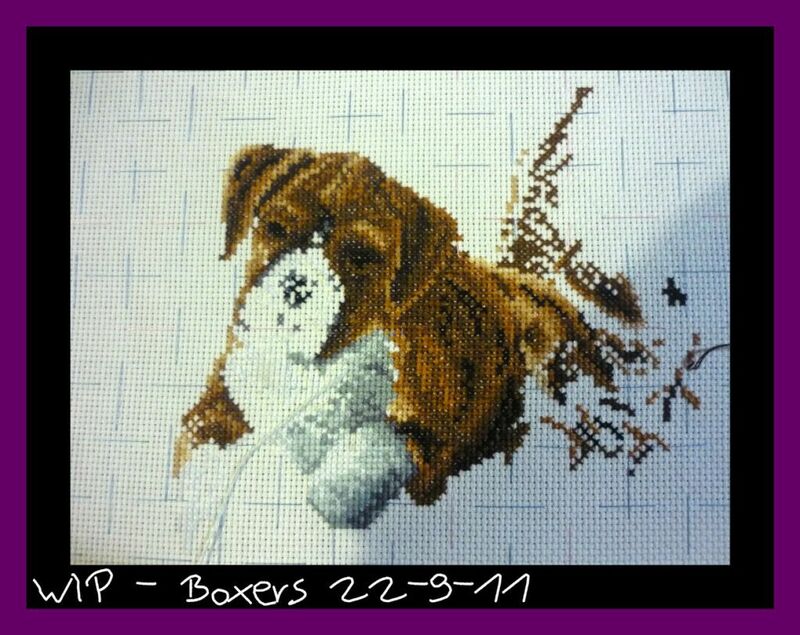 I have managed to do some work on Boxers. And here is where he is now. I've done a lot around the nose and it's almost done barring a bit of pink. 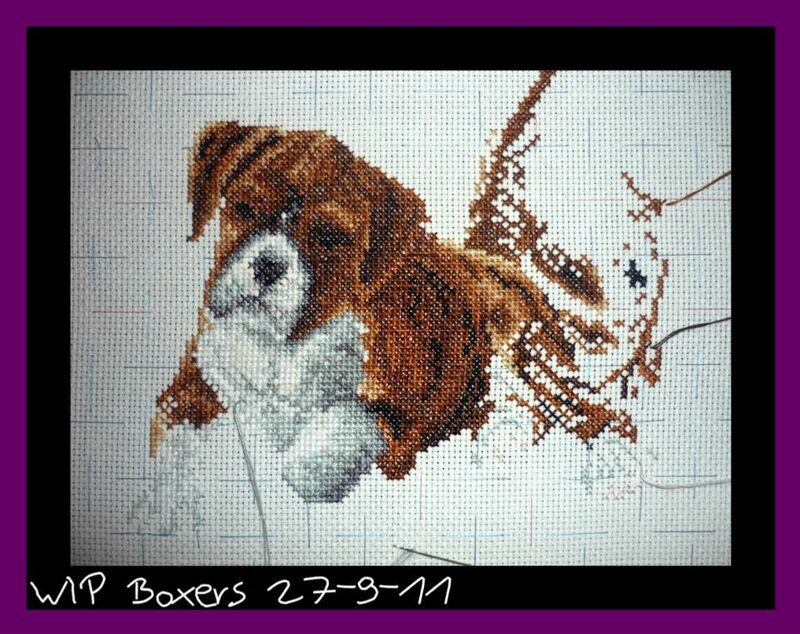 I've also done more brown over on the right. It takes ages to work out where I'm going. But he is almost finished. Then 3 more to go.